The Tasks object map for Project shows the child objects of the Tasks collection object. 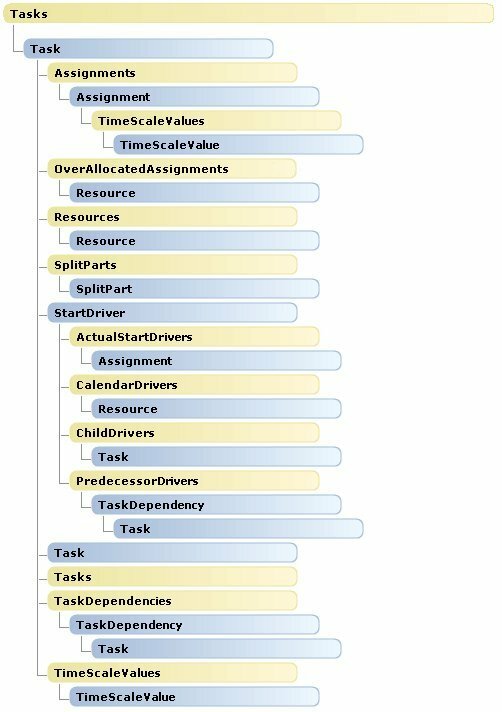 There are no changes in the Tasks object hierarchy from Project. A Tasks collection can be a child of Project, Selection, or another Task. For example, the Task.PredecessorTasks and the Task.SuccessorTasks properties each return a Tasks collection. Note Objects in the following image do not link to the documentation pages.